England Athletics have launched a new initiative “RunTogether”. This is to encourage more people to run with others, particularly beginners who often don’t see themselves as good enough to join a running club, even though many running clubs do openly invite new runners to run with them. 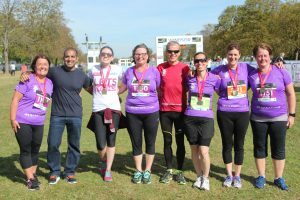 RunTogether are groups who organise runs and/or training led by a qualified group leader trained and insured under England Athletics, the National Governing Body for athletics and running. Under the “RunTogether” scheme Ged Ruffle leads a running group GR8runners. This group started under the “Fit for Life” campaign of The Royal Borough of Windsor and Maidenhead (RBWM). The idea behind the scheme was to get people interested and involved in various sporting activities where Ged led the running activity. Starting with 1 minute walking and 1 minute running the aim was to get from “couch to 5k”. Along the way everyone has great fun to the extent we have become a regular running group and always welcome new members. We meet at 6:30pm on a Wednesday at Windsor Leisure Centre. If you are an absolute beginner, returning to sport after a layoff or an experienced runner looking for company with run and train with, you are welcome to join our group. For further information or to join this group on a Wednesday evening in Windsor please visit GR8runners or send an email to: ged@gr8running.com. After 2 successful 10 week courses for Couch to 5k (C25k) in Eastrop Park supported by Basingstoke and Deane Borough Council the group is continuing as GR8runners under the England Athletics RunTogether initiative. Sessions are held every Thursday starting at 12:30 in Eastrop Park Basingstoke. A great way to get fit during your lunch break. 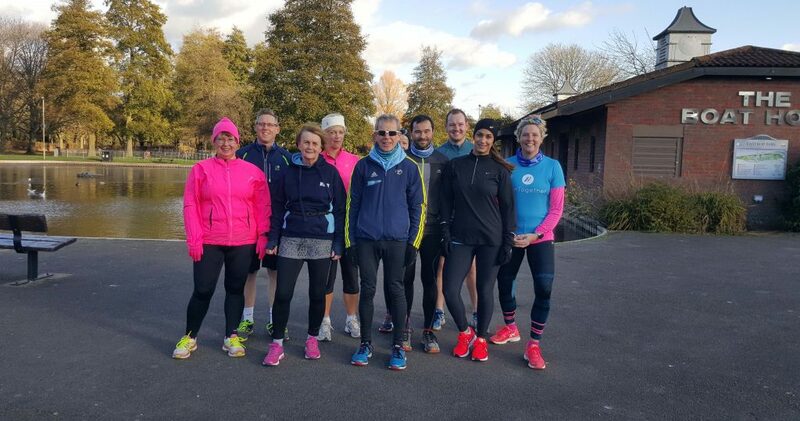 It was a great pleasure that our group GR8Runners was awarded The RunTogether Group of the Month during December 2107.For further information or to join this group on Thursday in Basingstoke please visit GR8runners or send an email to: ged@gr8running.com.